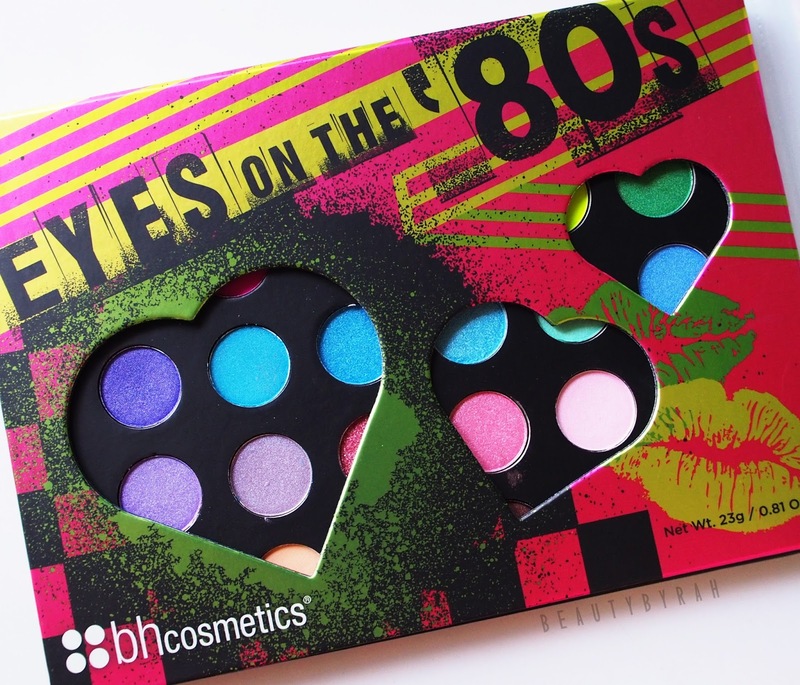 Today I'm back with a review and swatches of the BH Cosmetics Eyes On The 80's Palette. 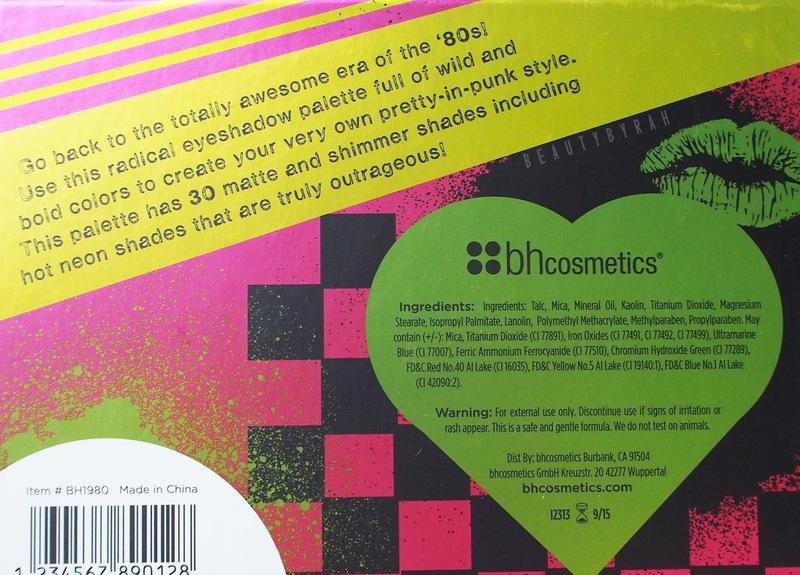 This palette screams colour, and true to the whole 80's vibe. In this palette, you get 30 shadows, incorporating both shimmery and matte finishes. Packaging is sleek and compact and made from sturdy cardboard. However, I would not recommend this for travel as the hearts on the cover are cut outs and the only thing separating your shadows from damage is a flimsy plastic sheet. I've played around with this palette and I gotta state the obvious, if you're uncomfortable with colour, this might not be the best palette for you. There are some neutrals (mostly last and second last rows) which can be used to tone down any eye look and the first 3 rows provide the ultimate range of pops of colour. In terms of pigmentation, I'm not too sure if using Morphe Brushes eyeshadows have spoilt me, but these were slightly disappointing. I had to build it up quite a lot to get it to the intensity that I wanted. The shadows are on the drier and chalkier side so do expect some fall out (which you will definitely have if you're like me and building the colour up). Overall, these shadows were not the best when it comes to texture and pigmentation. I did find that some shadows had way better pigmentation than the others, especially the mattes. Lasting power was not fantastic either - I'd say 4 to 5 hours with a primer underneath. Moving onto the swatches! These were about 2/3 swatches each in attempt to show the colour as in the pan, and shot under indoor natural lighting. Overall, as I love me a good, strong and intense pigment when it comes to eyeshadows in general, this palette did not do it for me. It is not the easiest shadows to work with due to its chalkiness. 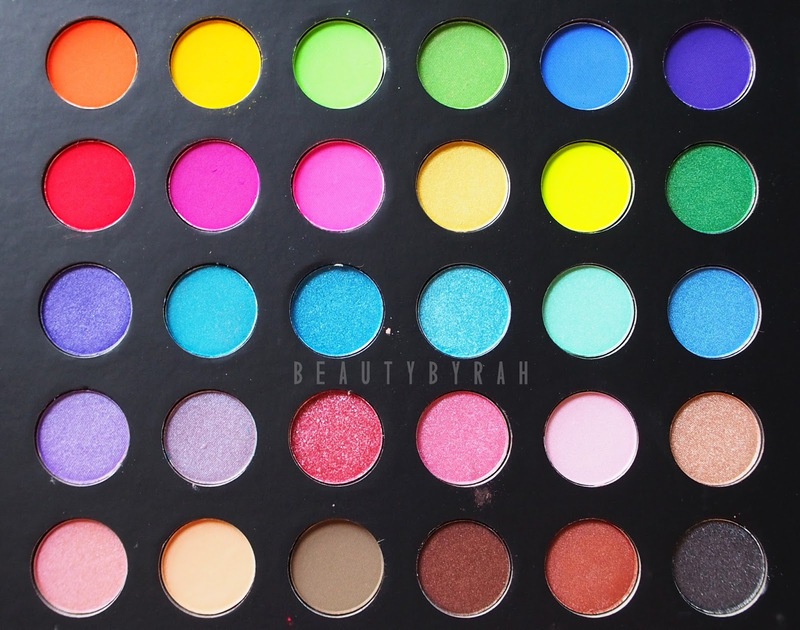 However, for its very affordable price tag (considering the number of shadows that you get), it is worth a try if you are venturing into colour. This retails for SGD$21.90 which you can check out here. Hope the review and the swatches were helpful for you! 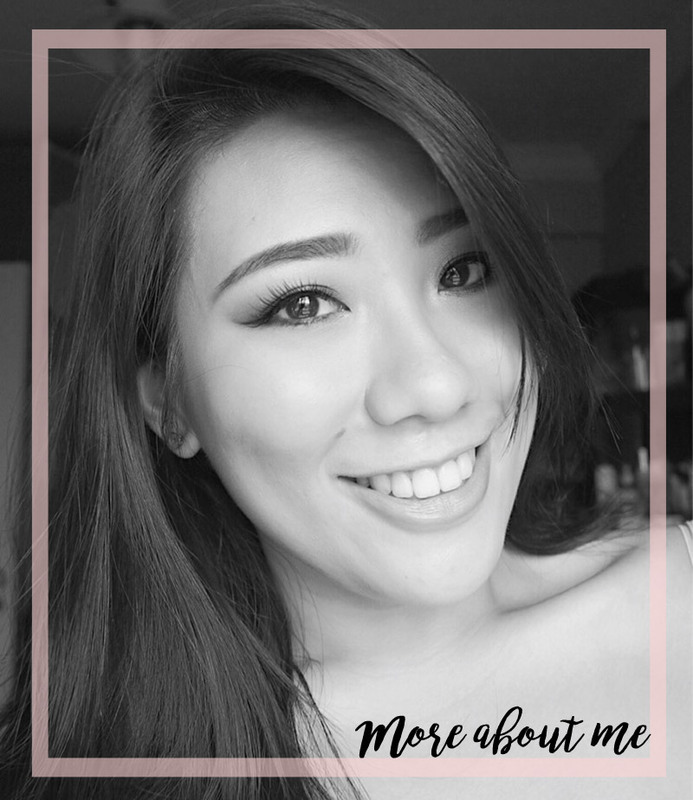 Thank you for reading and dropping by! XO. Disclaimer: This palette was sent to me but it did not affect my review nor thoughts. Keeping it real, my friends.